These three summer-fresh vegetables have been part of my own food-lore for as long as I can remember. So many summer meals in my life have been made up of this “trinity” that grows so abundantly here in Tennessee. As a child in West Tennessee, I and my playmates would pick ripe tomatoes fresh from the vine in the mid-day sun and bite into them, the warm juice running down our chins, dripping onto our clothes. It was a bit naughty and messy which we loved and as an adult I still love slices of warm, unrefrigerated tomatoes. The juice warm and sweet with a bit of salt is the most simple edible ode to the tomato I can think of. I recall picking peas with my Grandmother on hot summer mornings…the sun not yet up, dew on the lawn as we went to the backyard garden, trying to get our picking done early. Sitting later in the day on the back porch with a bowl to catch the peas and a paper sack to toss the shells into beside me on the swing. 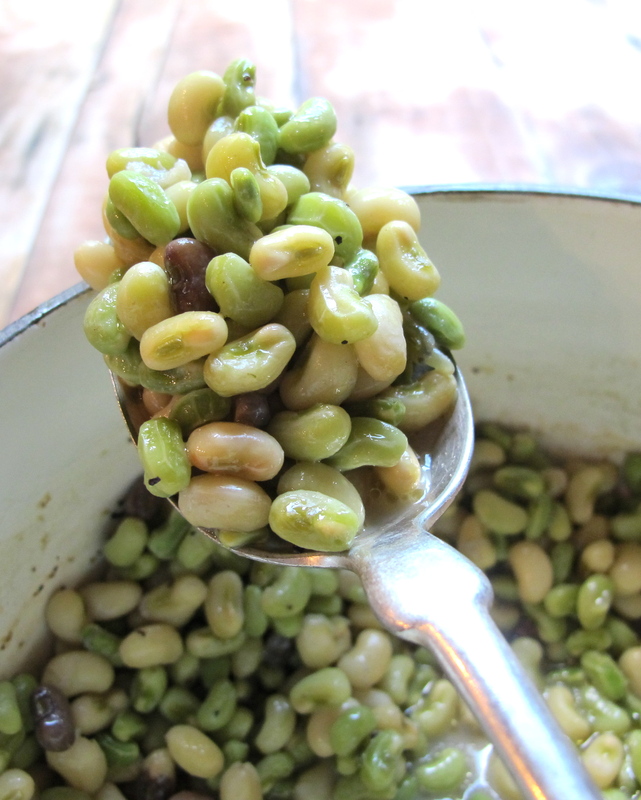 I loved shelling peas then and I still do…this simple task that yields so much pleasure. One of my favorite times of the summer was when the “corn came in” and all the women in our rural neighborhood would gather together at one person’s house to “put up” corn. Eunice & Dave, our next door neighbors, would pull a large flat wagon bed up under large oak trees in their back yard. The trees so big and old no hot sun could penetrate the foliage. The neighbor women would gather under these trees, around this wagon bed used as a canning work table before sunrise one day each summer and spend most of the day shucking and cutting corn, taking it inside the house to can …I do not think I was much help but I loved being there with the adults, listening as they talked and gossiped about everything under the sun while saving one of the best parts of the summer in glass jars. 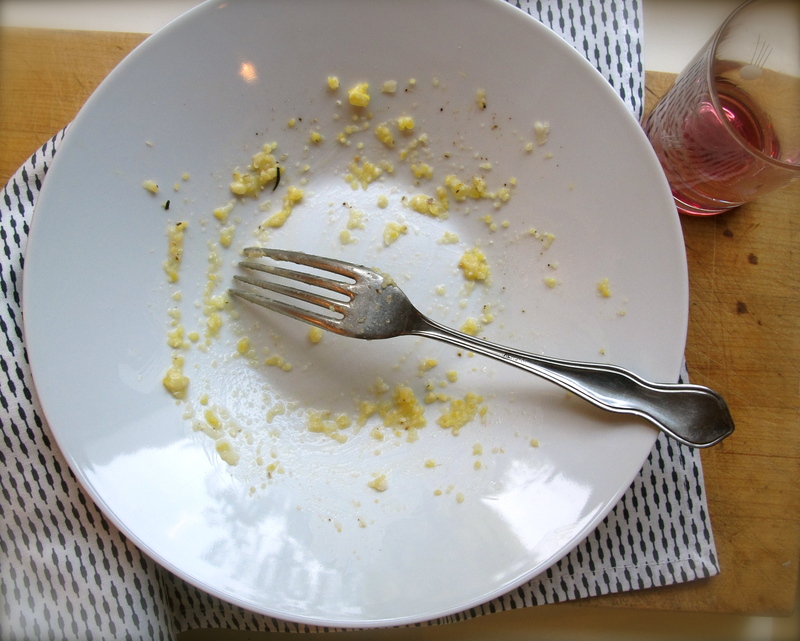 In my mind I still hear the all-day, softly constant sound of Shuck, Cut, Scrape, Shuck, Cut, Scrape….. These days I do grow my own tomatoes, but my peas and corn come from local farmer’s markets. 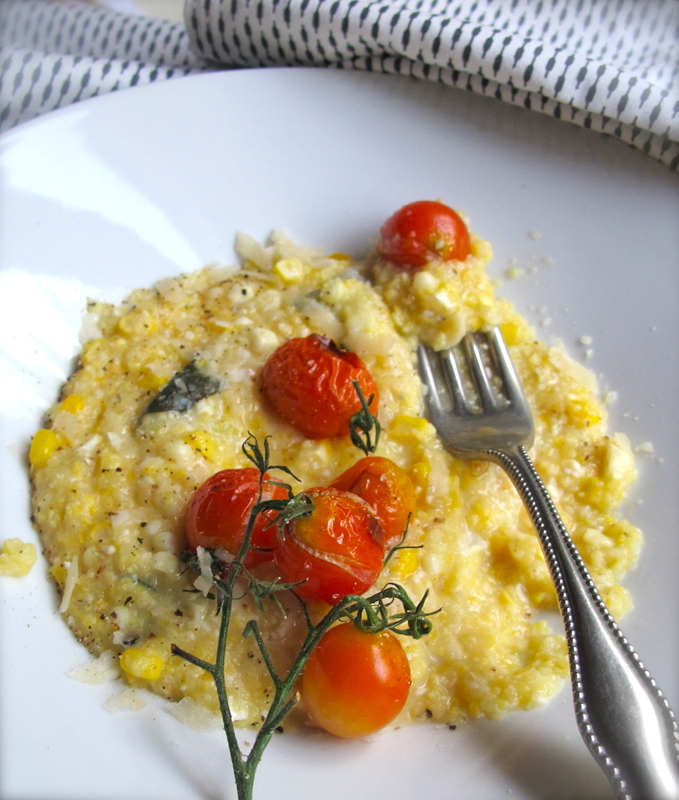 Here are two very easy recipes I made up last week using my “Tennessee Trinity”. 1. Wash, drain & cut tomatoes in half. place in a bowl. Set aside. 2. Cook Lady Peas in water just to cover, add a small chunk of butter, salt & pepper. Cook on med-lo heat for about 15 minutes, or until most of water is absorbed &peas are a bit soft but not mushy. 3. 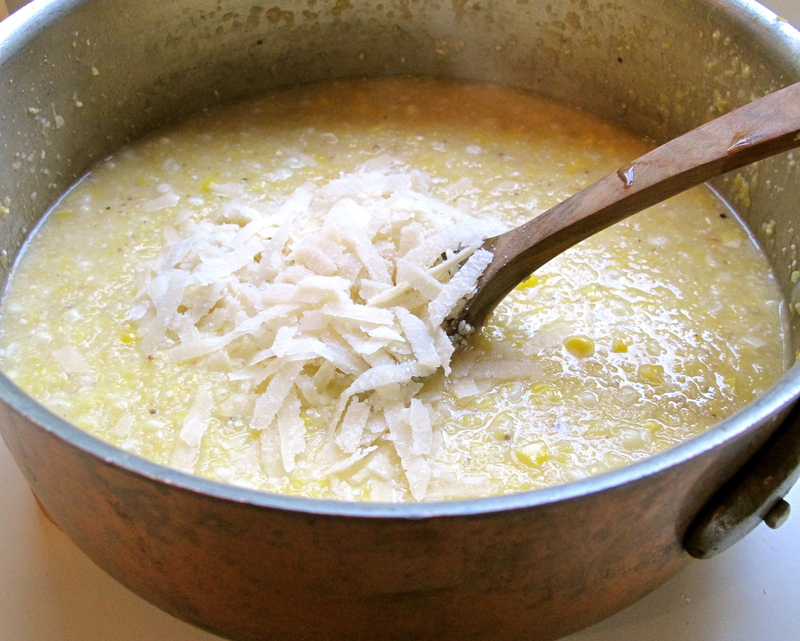 In a skillet over medium-hi heat a few tablespoons of olive oil. Add pieces of bread to skillet, toss well. Cook until browned & crispy. Remove from skillet. Set aside. 4. 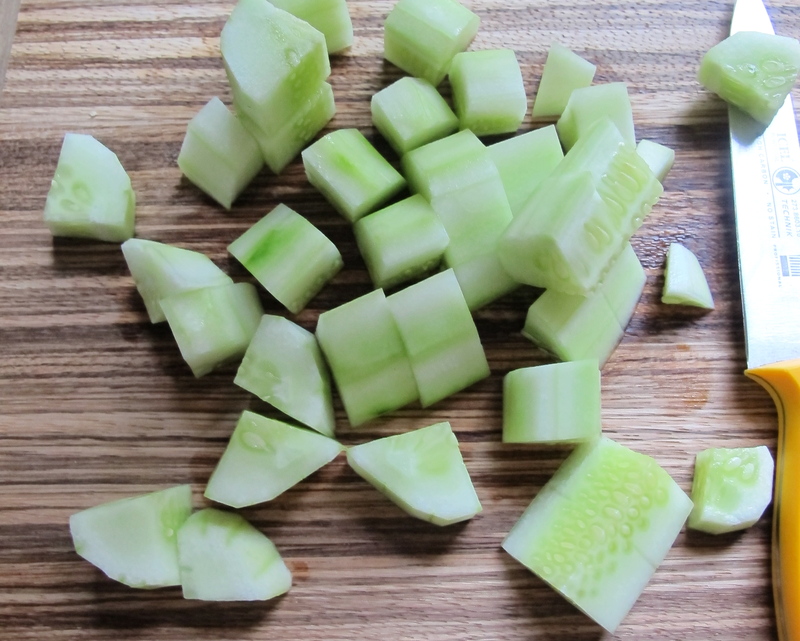 Peel & chop cucumber.Tear Basil leaves into pieces. 1. 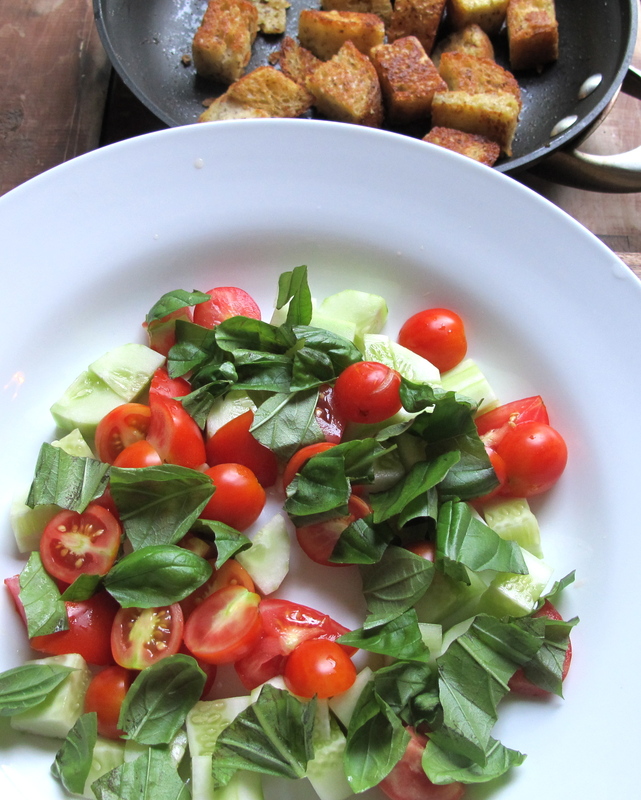 On each plate scatter a some of the tomato halves, cucumbers & basil pieces. 2. 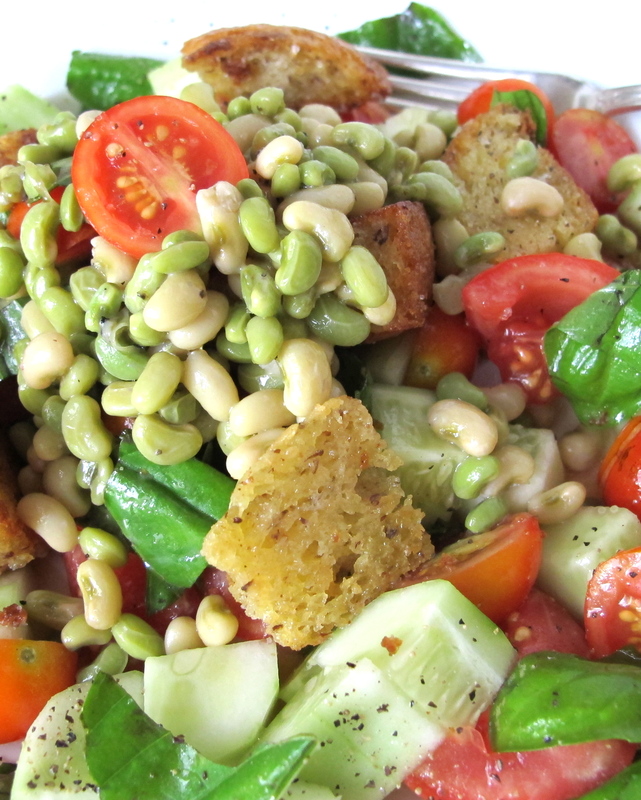 Place a spoonful of the cooked Lady Peas in the center of each plate. 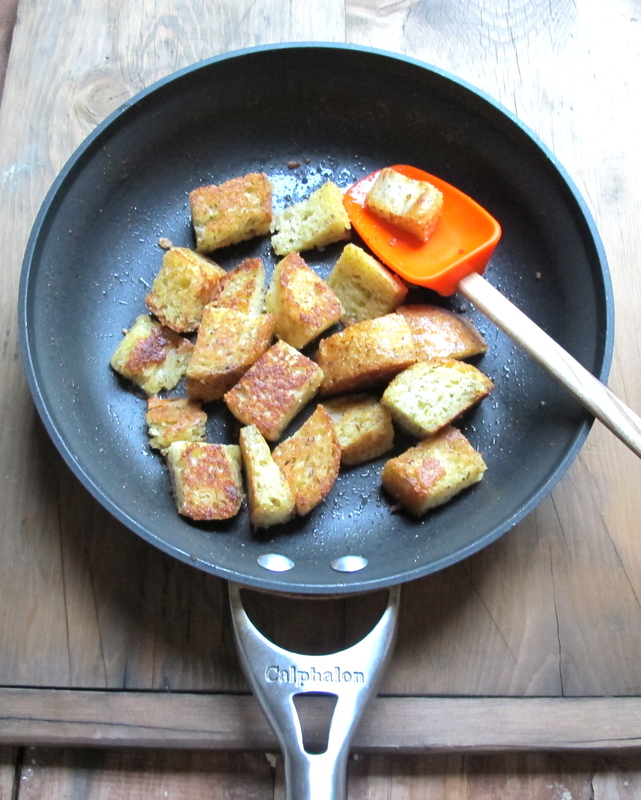 Scatter some of the crusty bread croutons over all. Drizzle with a bit of olive oil, some sea salt & freshly ground black pepper. Beautifully fresh complete dinner on a plate for a hot summer evening. Serve with a crisp, cold white wine. 1. Wash & drain tomatoes. Pre-heat oven broiler. Line a baking pan with parchment paper. 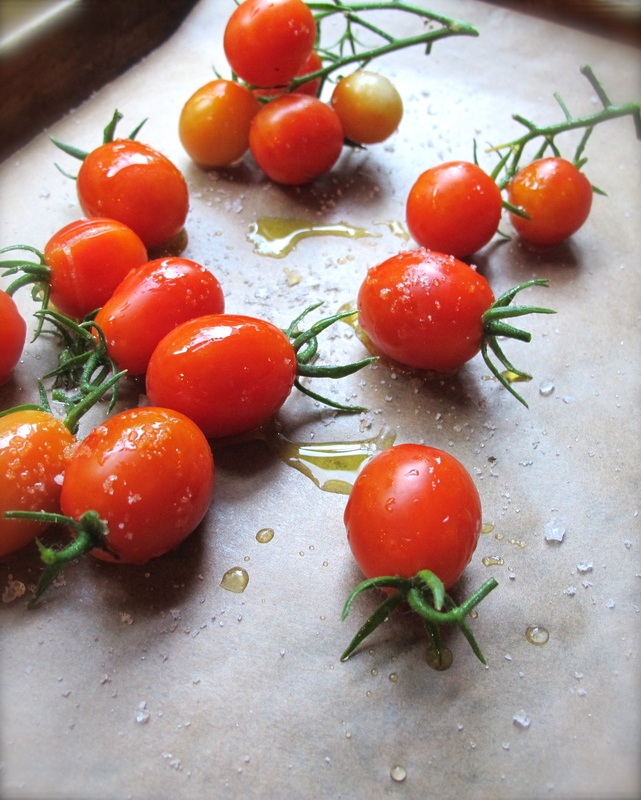 Place tomatoes on baking pan. Drizzle with olive oil & sea salt. 3. 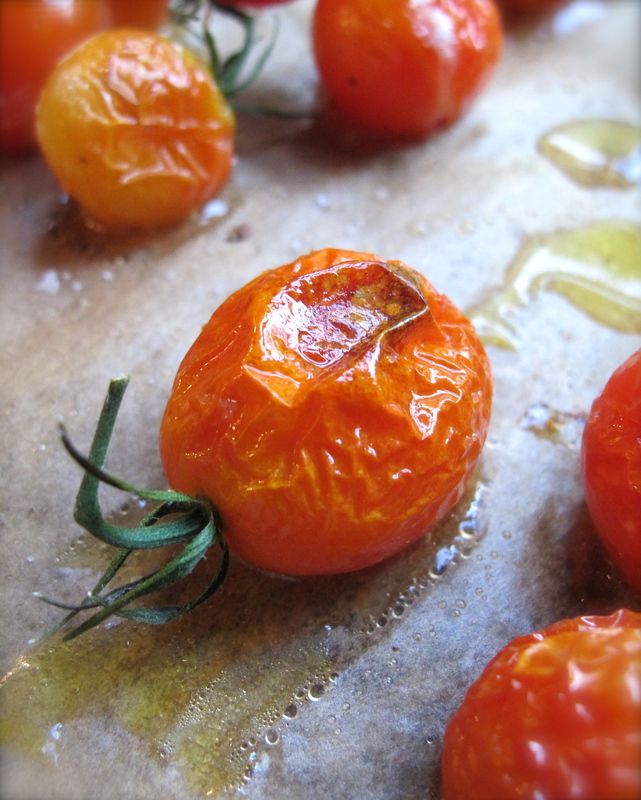 Place tomatoes under broiler and broil until skin is browned & tomatoes are slightly cooked. Remove from oven. Set aside. 4. Bring water to boil in saucepan. Slowly add in cornmeal while stirring. Cook over medium heat until polenta thickens, about 15 minutes. 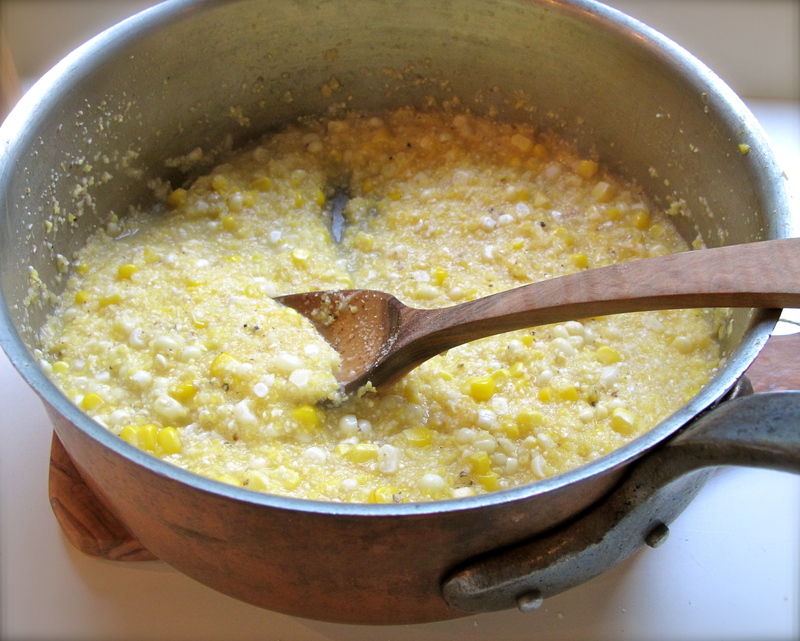 Stir in fresh corn. 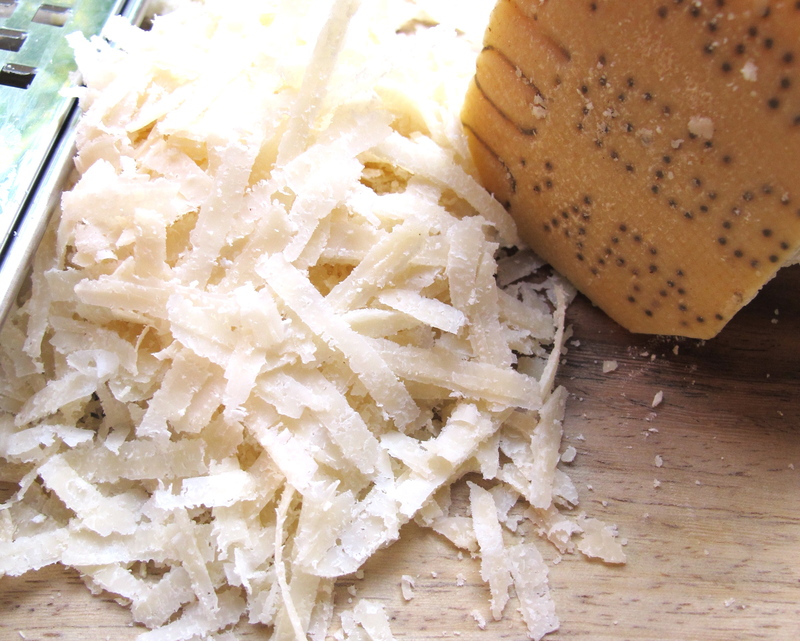 Add in a handful of grated Parmesan cheese. Mix well. Stir in some fresh basil leaves. Remove from heat. 1. 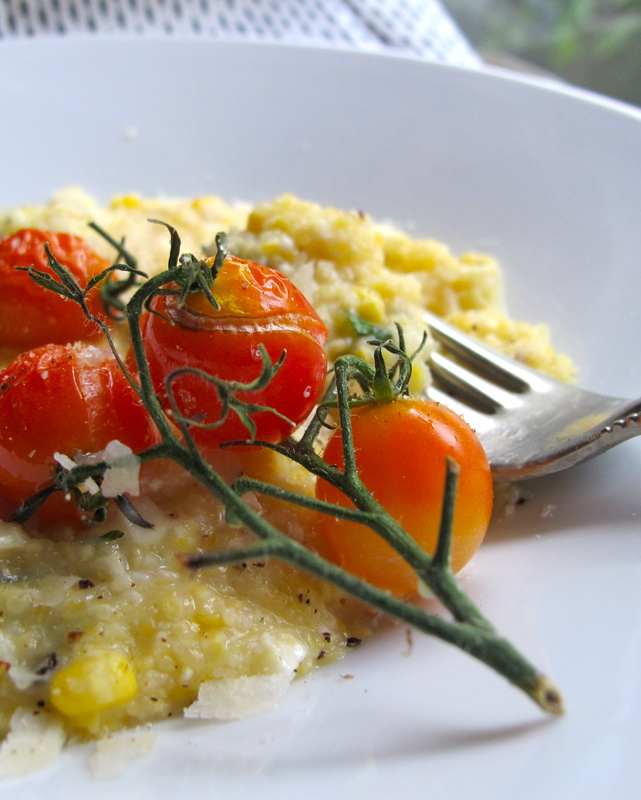 Serve warm sweet corn polenta topped with roasted tomatoes. Season with sea salt & fresh ground pepper. A perfect melding of summer tastes! ….and then there was none. love our trinity! we are really coming into the bounty of the season. 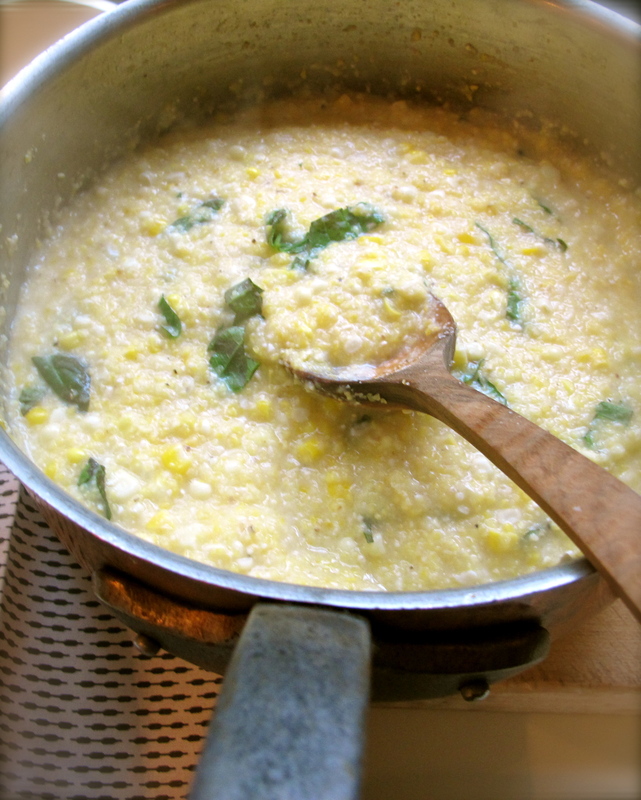 the corn-polenta mix looks especially appealing to me, and I enjoyed reading about your West Tennessee summer food memories. Oh my, my mouth is literally watering from all those photos! What beautiful photos of delicious food! So glad I stumbled upon this! I am glad you stumbled upon my blog and hope that you subscribe and become a regular…I went and took a peek at the peal sheller on you site and must say they have always fascinated me…thanks. That salad looks wonderful and is seriously tempting me to get some more purple hulls or crowders at the farmers market this Saturday. I simply love crowders, purple hulls, lady peas, lima beans and all the others whose names can change from region to region but regardless of the name make all our summers very fine. I can’t imagine any other dishes resonating with Southern Summer days. Brings back many sweet memories…. #2 thanks so much. Your sweet comments always mean so much to me…we will eat peas after my road trip…that is a promise. This sounds great! And the photos are simply gorgeous! I recently got some Himalayan pink salt and organic peppercorns from Sustainable Sourcing https://secure.sustainablesourcing.com and I’ll have to try them out in these recipes. Thanks for sharing! Deb, thanks so much for the salt source. I love trying all the beautiful and delicious salts on the market these days…pink would be lovely on the tomatoes…subtle against the red. Thank you. yummy…even city folk can appreciate these dishes. Wouter, I so wish you were here to taste this and all my other summer treats. Stay tuned for my “out west” entry. Holy Summer batman! These look just incredible! And what the heck are lady peas?? They are beautiful! I love that you’ve put forth a gorgeous, wholesome, real food, totally accessible dishes that anyone can enjoy! 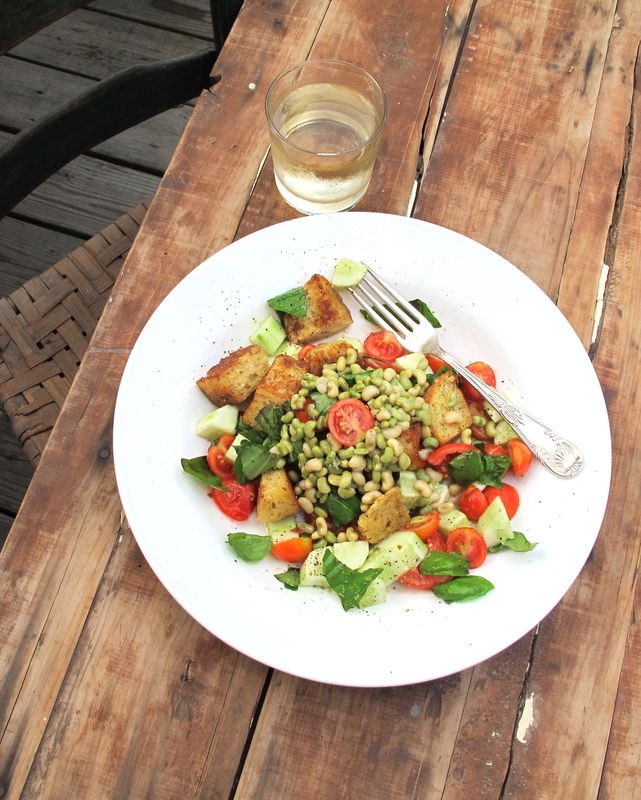 Yay for delicious, simple, veggie friendly meals! 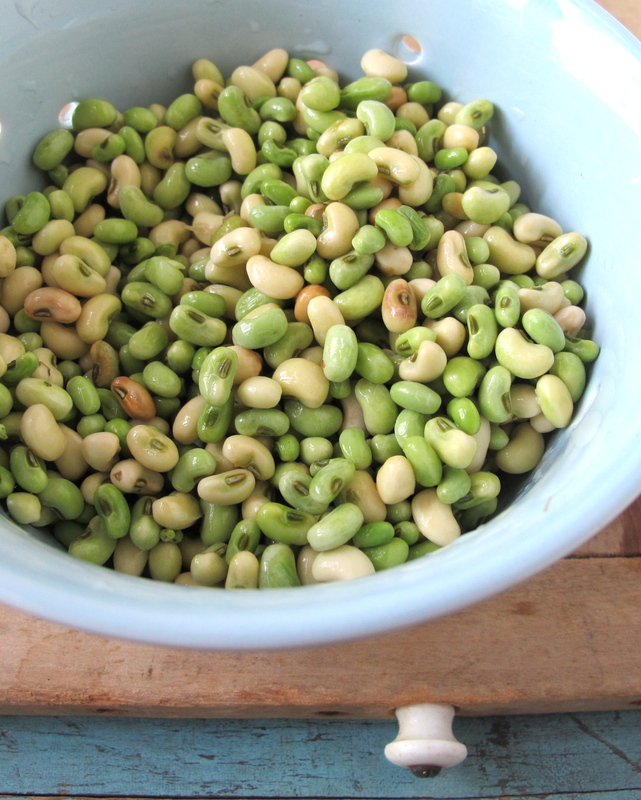 Kristy, after a bit of research I found that the Lady Peas I get at my local farmer’s market are a type of Crowder Pea, smaller and more unusual and it seems are pretty much available in mid-summer in the Southern United States. I do know that these little peas are much anticipated and are around for a short period. They are so delicious and simple and a bit “lady-like” in appearance and the flavor profile is not like any other pea I have ever had. I do think seeds are available online. I like real food, simply prepared with not too much fuss and for the most part vegetables. Thanks. This is beautiful, Teresa! I can’t wait to try it! 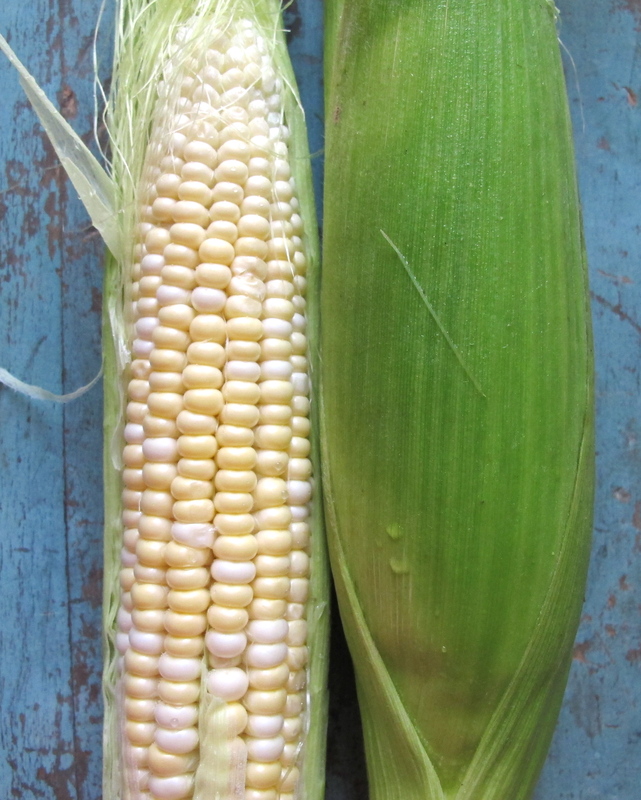 We’ll have some purple hull peas next week and the first of our corn! 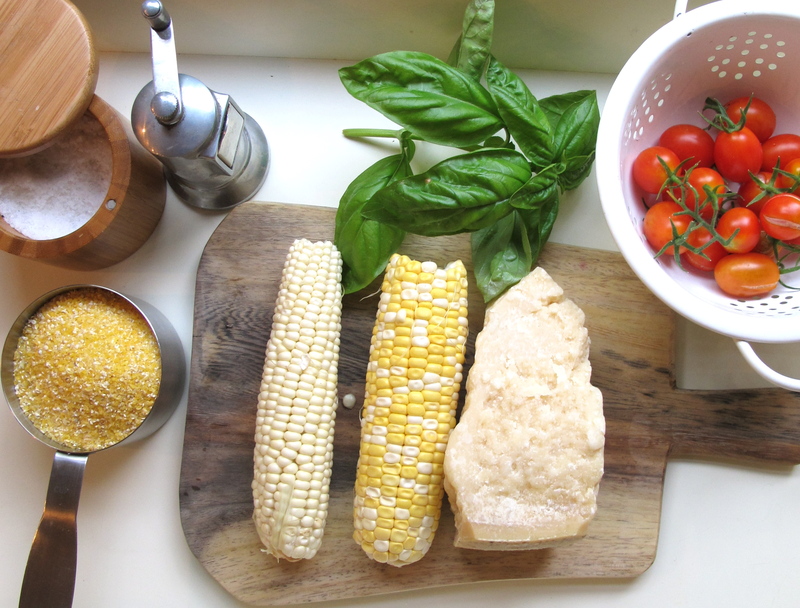 What a beautiful blog and wonderful summertime food memories. 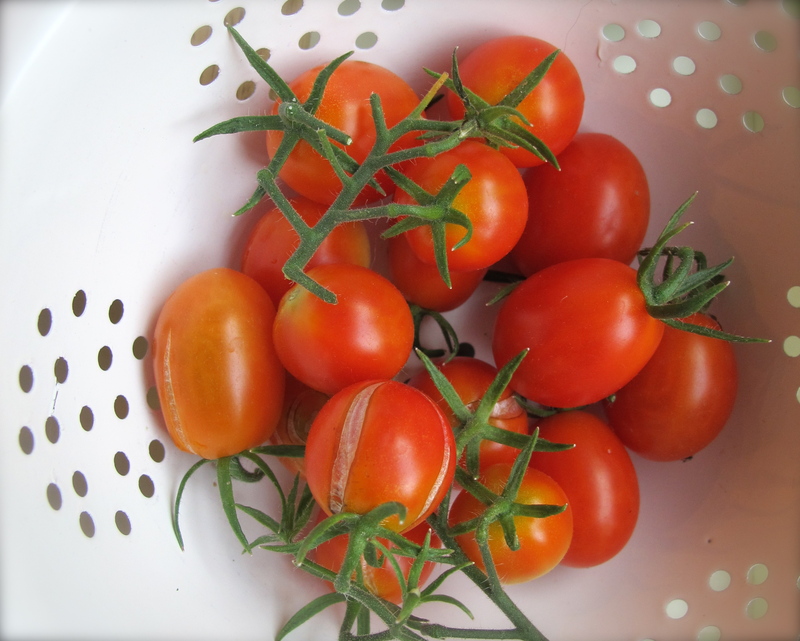 One of my fondest memories is standng in the middle of my father’s garden in New Jersey–yes we have more here than just highways–plucking a warm-from-the-sun tomato from the vine and eating it right there on the spot with juices dripping.